Travelling can both be a nature lover’s paradise as well as a nightmare. Finding the perfect place to travel to, that has the right blend of untouched natural ecosystems as well as some amount of civilization (we do need a place to live in and food to eat), is not an easy task. One such place that has invited eco-tourists to it for decades owing to its wide variety of natural ecosystems and nature activities is the beautiful seaside city of Karwar. Located on the Goa Karnataka border in Uttara Kannada, this city is encapsulated by the Kali River to its North, the Arabian Sea to its West, and the Sahyadri evergreens to its East. The Anjadip and Devagadaguda islands lie of Kali’s estuaries and are small mangrove islands very close to Karwar making for great destinations for a short trip. Lying on the Monsoon Coast, Karwar has moderate temperatures through the year ranging from a minimum of 22 degrees to a peak of about 40 degrees in the summer months of March, April and May. Karwar has numerous locations that attract its visitors, ranging from the hills that surround it, to the numerous waterfalls and national parks in its vicinity. The Sadashivgad Fort and Maritime museum are interesting to visit, but the nature activities steal the show. Here are some National Parks and Waterfalls close to Karwar that will prove to be a nature lover’s paradise. Covering an area of 340 sq kilometres, Anshi National Park is an evergreen tropical forest situated on the Karwar-Londa Highway. It is a part of the Dandeli wildlife sanctuary. The park comprises various topographies ranging from dense forests to deep valleys and steep slopes. The park, like Karwar, sees moderate temperatures ranging from 16 to 35 degrees. The best time to visit the park is in the winter and summer months from November to July, as the animals tend to hibernate or retreat to shelter in the monsoons. The Black Panther is the main attraction as the park is one of the few in India to house the large cat. The park is also known for its variety of deer species and smaller mammals like the jackals, wild boars and mongoose. 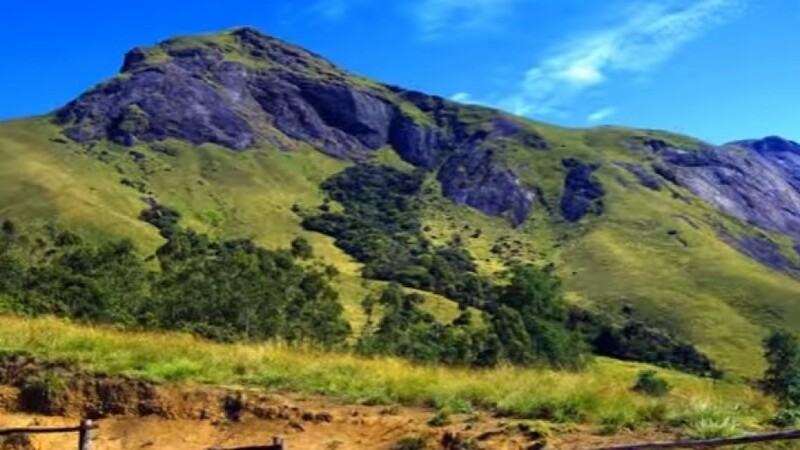 Nature enthusiasts particularly love this national park as there are numerous trekking trails that run through the national park that one can cover on foot based on their expertise. 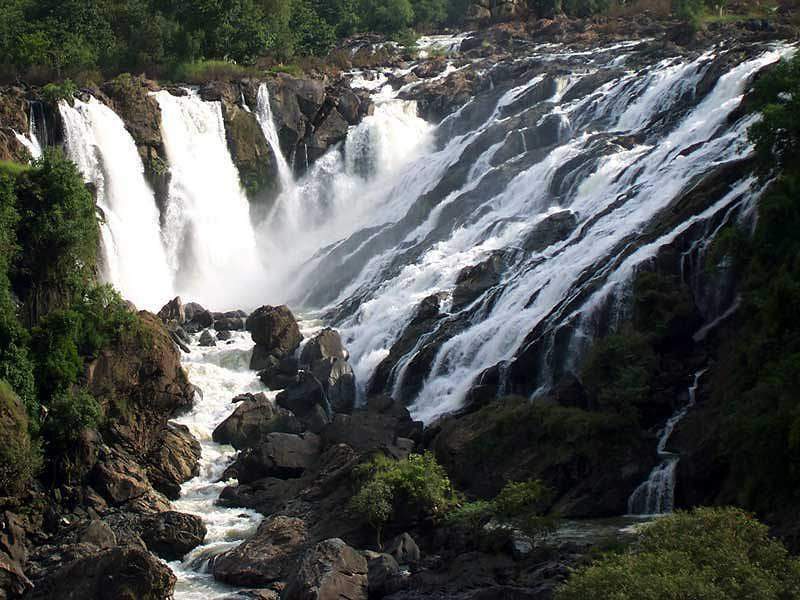 The Lalguli Falls is located at a distance of 13 kilometres from Yellapur, a town situated close to Karwar. The waterfalls are fed by the Kali River. It flows through a rocky terrain, which over the years has become lush with greenery owing to the ample supply of water. The height of the falls is about 250m, providing a scenic view. The torrents besides the falls also flow from heights of about 60 to 90 metres. 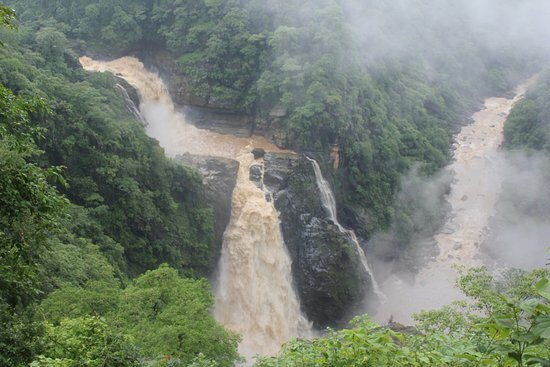 The best time to visit Lalguli falls is in the winter. Locals often advise tourists to visit the falls at dawn as the sunrise presents a breathtaking view in the backdrop of this majestic waterfall. The name Benne Hole literally translates to butter stream and comes from the creamy white froth that forms at the base of the waterfalls. The Benne Hole Falls is perhaps the most spectacular of Karnataka’s waterfalls, and a visit to Karwar is incomplete without a trip to this spot. The tributary of the Aghanashini river contributes to the falls which drop from a height of 200 metres. The Benne Hole Falls is known for its breathtaking (literally and metaphorically) trekking trail as the 2km trek to the top of the falls is not for everyone. The falls also acts as home to numerous species of rare birds such as the grey jungle fowl, the owlet and the Woolly-necked Stork. The Magod Falls is a duo of small waterfalls. The Bedti river topples from a height of 200 metres in two distinct steps, making for a breathtaking view. 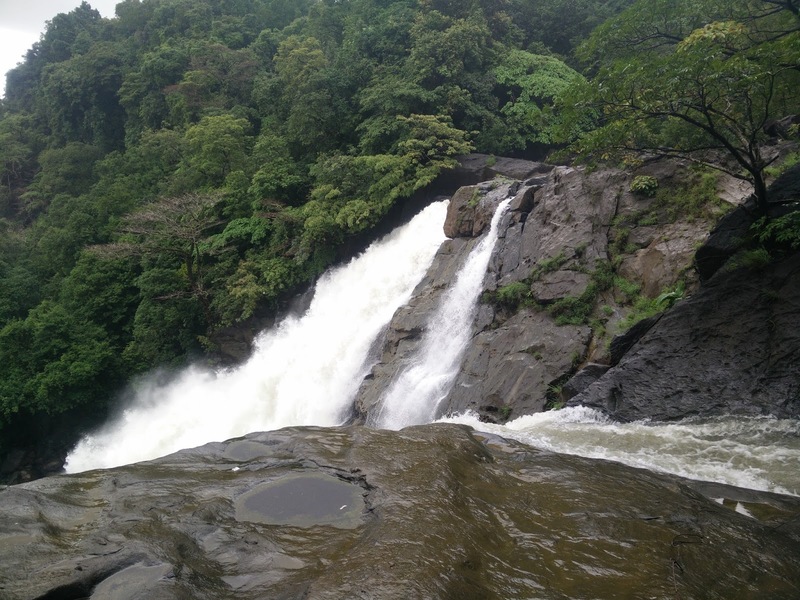 Like the Lalguli Falls, Magod lies about 17 kilometres from Yellapur and is easily accessible from Karwar as well, situated 80 kilometres away from it. The falls are accessible only in the winter months as it tends to dry up in the hot summers. The Honey Rock hillock is another common stop en route to the Magod Falls. If this is not convincing enough, a trip to Hubli or Sirsi is another possibility that visitors often opt for. 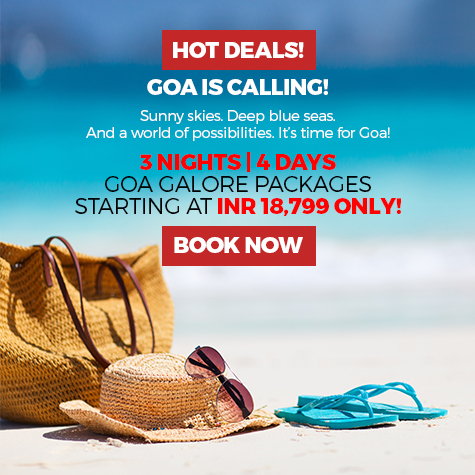 So book your tickets in advance and plan a trip to one of the most beauteous bounties of nature in India this winter. Karwar presents attractive options to every nature lover and the numerous activities like trekking, snorkelling and peddle boating or just walking along its untouched beaches make it the perfect choice for a family getaway. Remember to pack light and carry your walking shoes! 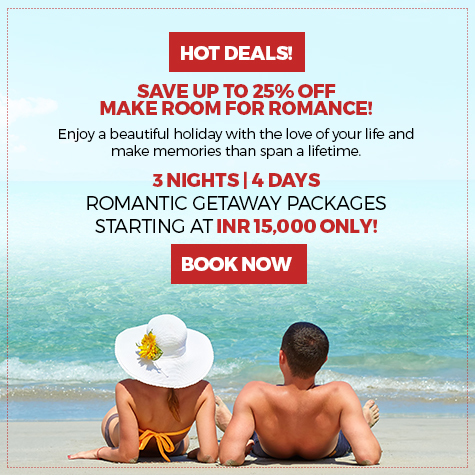 Head out to Sterling Karwar today and book your stay for the vacation of a lifetime.